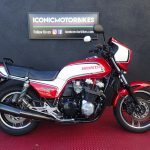 This mint 1983 Honda CB1100F represents a slight departure from our usual fare, as it is older and closer to a UJM than the bikes we generally showcase. 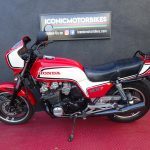 But there are two things that drove this one over the edge for us: First, it's being offered by our buddies at Iconic Motorbikes, whose stable is jammed with perfect examples of some truly, well, iconic bikes. 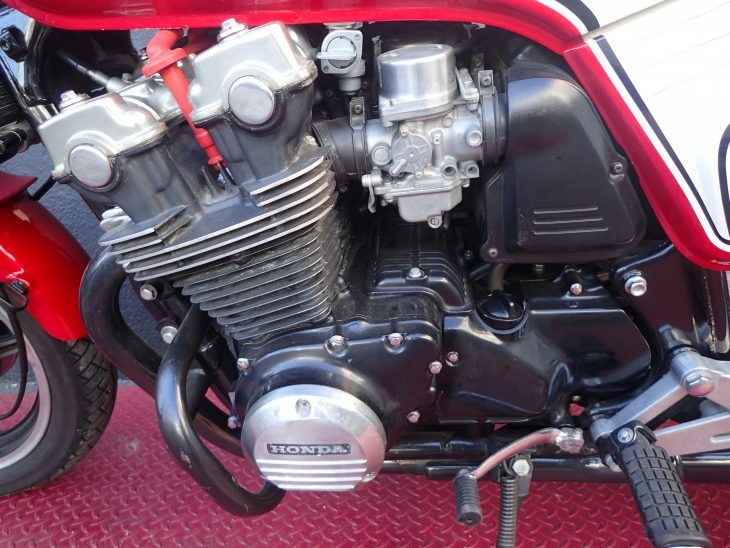 Second, the Honda CB1100F was designed to be a hairy-chested musclebound hooligan from day one. 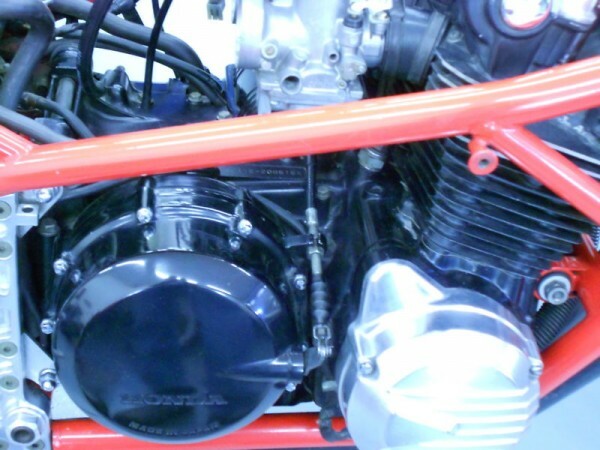 With bigger pistons and carburetors and hotter cams than the 900cc version, it pumped out 108 horsepower at a time when 80 was seen as pretty heady. 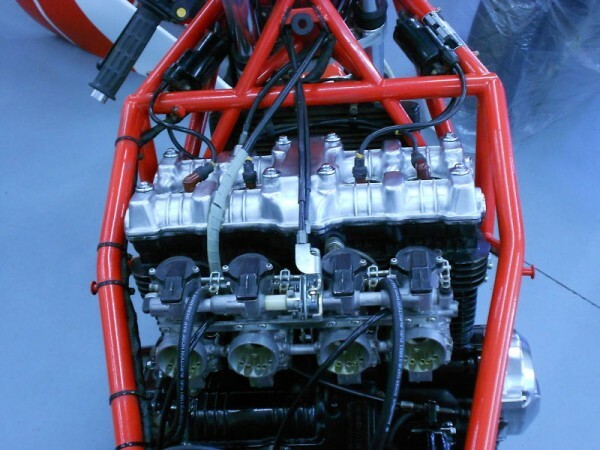 Those ponies were encased in a steel tube chassis, which means this thing's handling will be an exercise in embracing flex and using horsepower to overcome limitations. 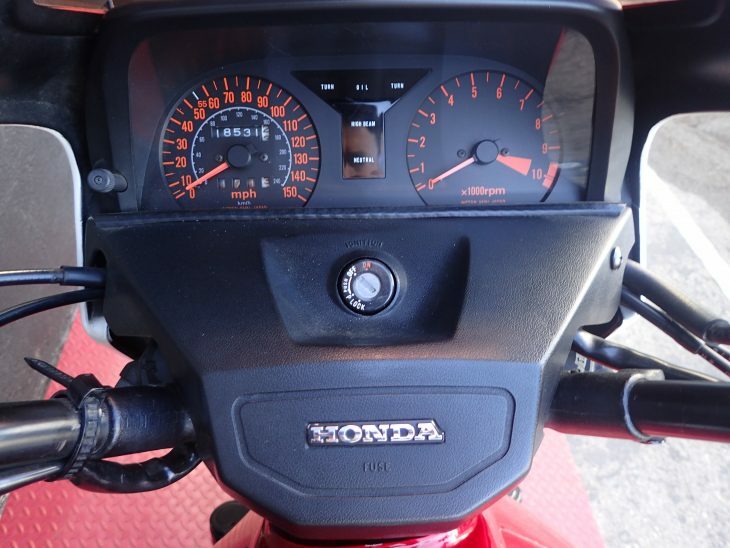 Your buddies CBR600RR will lose you easily, but you'll be having just as much fun at somewhat saner speeds. 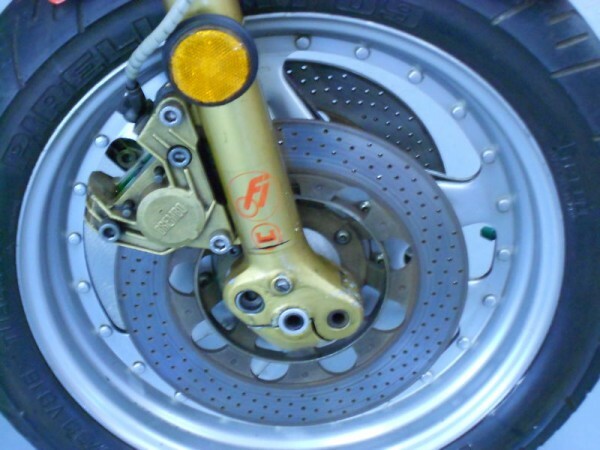 Because this bike was the pinnacle of the CB line, its suspension and brakes were top whack bits for the time. 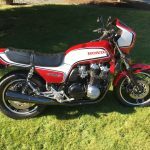 It rocked anti-dive forks, remote reservoir shocks, dual-disc front brakes and cast wheels, as opposed to the smaller CB's Comstars. 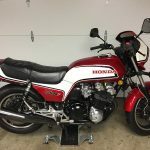 This one is close to as nice as ridden 35-year-old bikes can be, with just a couple here-and-there blemishes to show for its years and 18,000 miles. 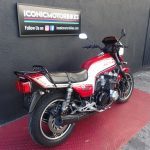 1983 Honda CB1100F – Fantastic condition – Low Miles! 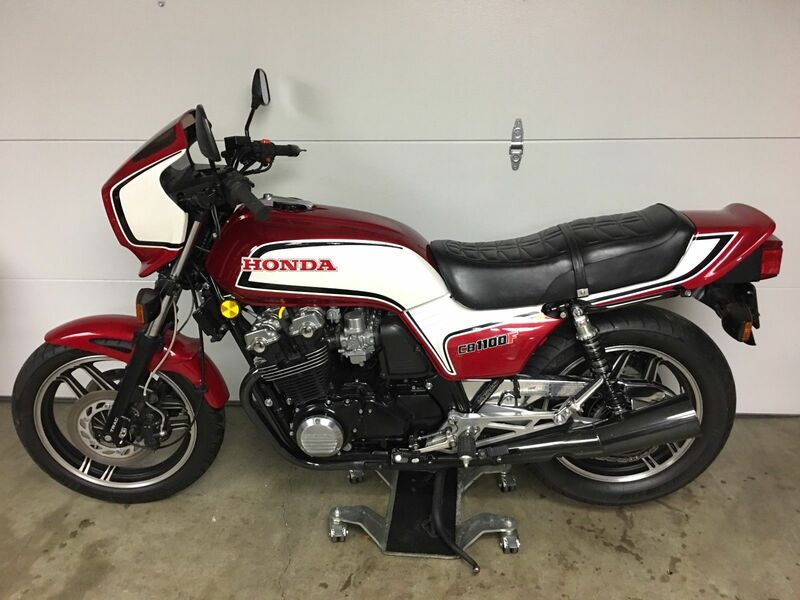 This very cool and classic Honda is truly a gem of a find. Becoming harder and harder to find in this condition, don’t let this one get away! 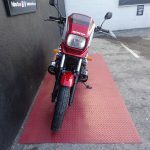 This CBX1100F is in truly great shape for it’s age and that Maui Red is so damn beautiful it’s sure to get 2nd and 3rd looks wherever you go. 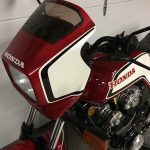 The CB’s have always been one of Honda’s most Iconic models and the 1100 was the big boy on the block. Smooth ride, nice linear acceleration and classic good looks. 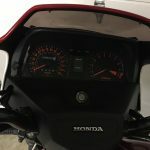 You’d be hard pressed to find one cleaner but as with any 35 year old bike, there are a few flaws, I did my best to point them out. 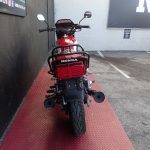 We added a bunch of pictures but nothing beats a “in person” visit so fly into LAX, we’re only 15 minutes away and ride her home, you’ll love this girl, that’s a promise! 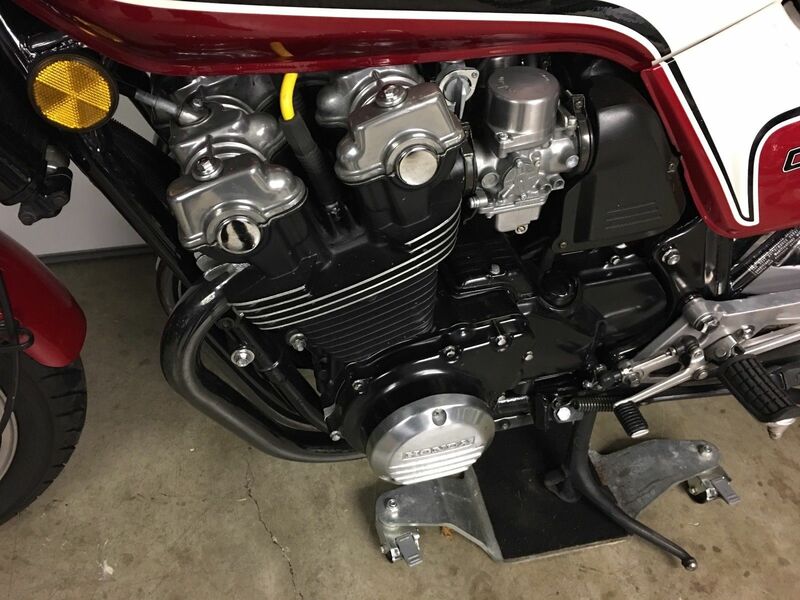 Priced at $7,250, this CB is ready to grace a classic collection as the ultimate expression of the CB heritage, and hearkens back to a time when a sport bike was little more than a hot engine and stiff springs in a street-dwelling chassis. 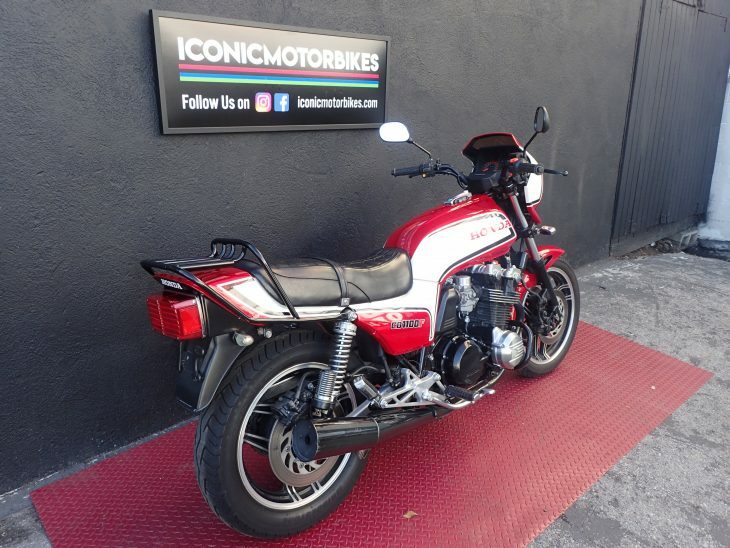 Swing over to Iconic Motorbikes to get your hands on this gem. 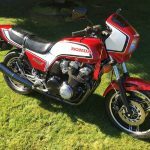 For riders of a certain age, the CB1100F represents a significant moment in time. 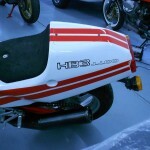 The last serious Honda sport bike to utilize air cooling, the CB1100F was part standard, part sport bike, and part sport touring machine. 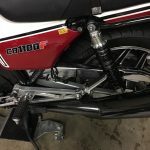 And while today each of those segments represents a different motorcycle, the CB1100F was the jack-of-all-trades bike to get them all done. 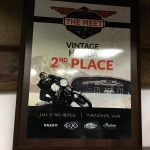 It won AMA races. 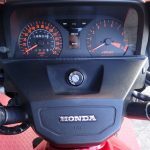 It beat Honda sales records. It did it all. 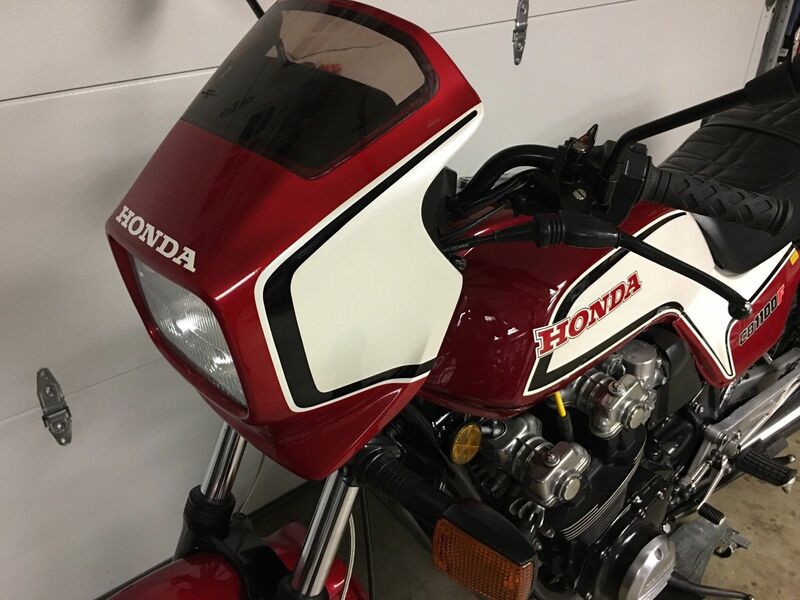 And today, despite the fact that these were mass produced in a "stamp out as many as you can make while people are buyin' 'em" sort of way, 34 years later it is hard to find one that looks presentable, let alone in riding condition. 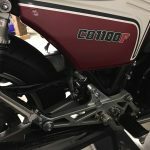 The CB1100F owes it's roots to the CB900F. It's easy to tell them apart thanks to the bikini fairing on the bigger bike. 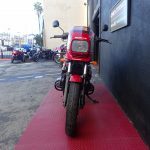 But somehow the CB1100F was more than the mere sum of its parts - it was more than minor bodywork tweaks and a punch up above the liter mark. 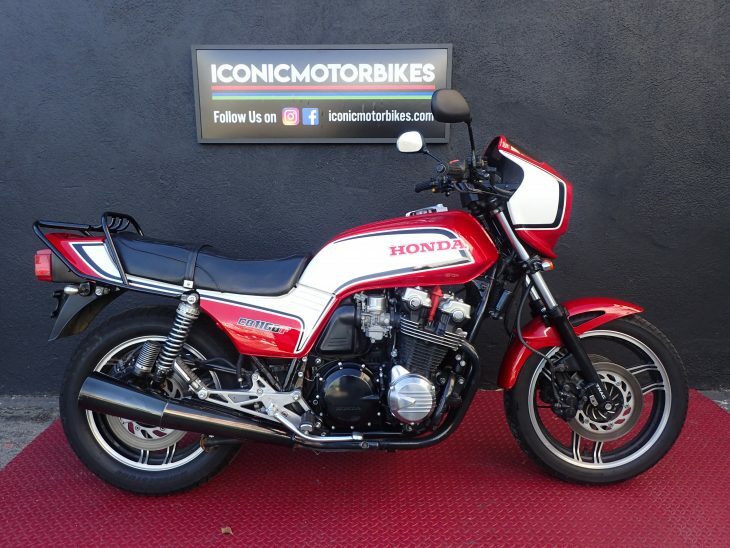 The CB1100F could hold its own against the big bikes of the day, yet had the requisite Honda quality of that time; here was a big sport bike that was reliable enough to commute on, comfortable enough to take for a weekend, and potent enough for Saturday morning rides in the canyons. This is a bike that stood out because it did everything well enough. 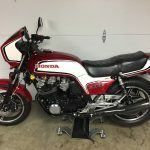 This is a reluctant sale of my 1983 Honda CB 1100F. 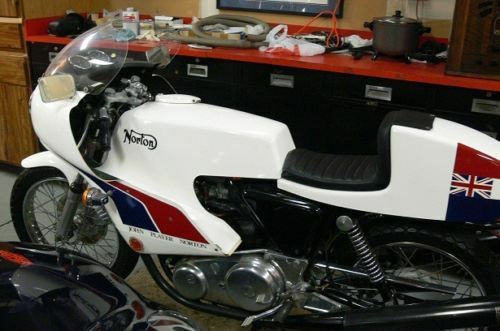 A stunning collectable motorcycle that is going up in value. Most of the ones I have noticed have been modified or neglected. This has been garage kept all of it's life. I am the second owner. Title is clear in my name. Color is a Maui Red and Pearl white. 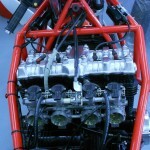 Carbs were recently done by Jack Wagner of Old School Carbs in San Jose, Ca. (Jay Leno uses hid service). 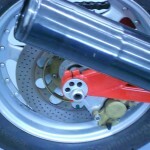 He also rejetted with a Stage 1 Dynojet kit. The Tank is an OEM new tank I acquired that was still in the box. All the rest of the paint is excellent as well. New Avon Road Rider tires. The stock (junk) OEM starter clutch drive has been replace with a better unit. 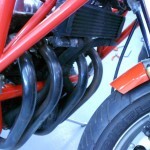 NEW Works performance shocks. 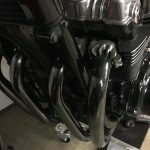 The Black Chrome is in excellent condition throughout. 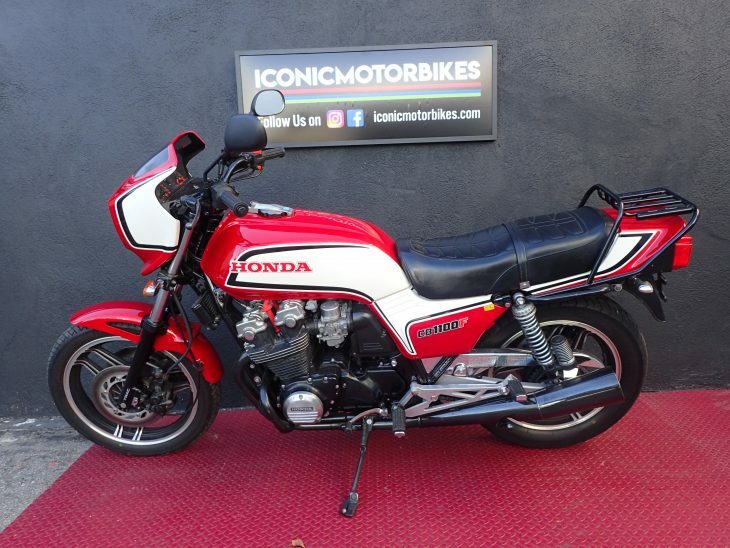 This stock "Race Bred" version of the CB1100F was inspired by the likes of Superbike road racers like Freddie Spencer and Mike Baldwin. Think Laguna Seca, Seattle International Raceway, Sears Point, Willows!! How many summers do we have left? When it comes to the massive production numbers of UJMs, there is relatively little value in collecting unless you can find a near-pristine example. 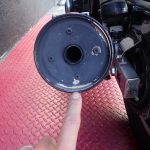 Otherwise the cost to restore a ratty example back to new (or near new) condition can easily eclipse the value of the bike. 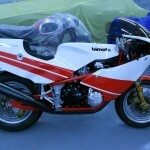 Still, the prices for iconic machines from the 1980s are rising. 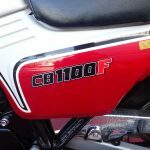 The pretty CB1100F will continue to appreciate over time, but expect lower appreciation over a longer period of time than you would with a more popular and/or more rare model. The seller has this listed in auction format with a Buy It Now. The opening ask for the auction is $4,900 with reserve in place. It is likely that the opening number will scare off many potential bidders. The BIN for this bike is a lofty $6,900. That is big money for a not very rare model, although as we have noted the condition does aide in the rarity consideration. 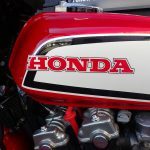 Still, it is nice to see a preserved piece of history - especially when the model in question highlighted Honda's dominance of the period. 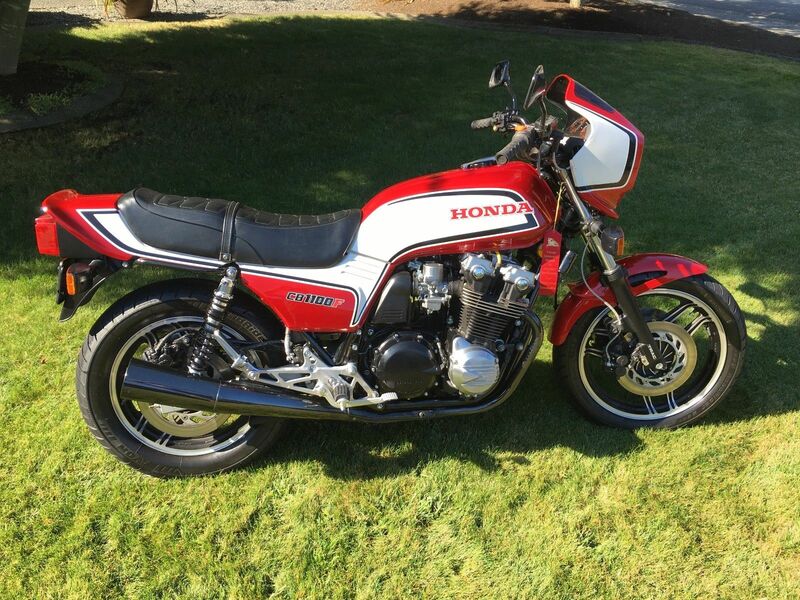 Much would change in the following year, but for 1983 the Honda CB1100F was a key bike. Check it out here - and then be sure and jump back to the comments and share your thoughts on this beautiful F model. Did you have one? Good Luck! 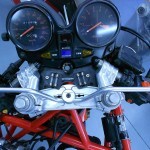 I know a lot of RSBFS readers have had their fill of Bimota's lately. 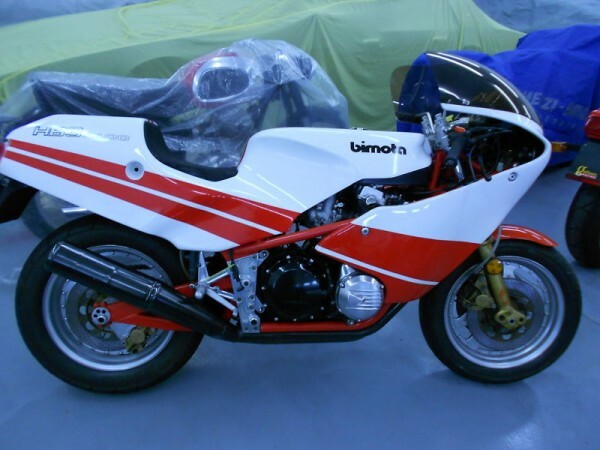 I'm with you but I couldn't resist posting this beauty, a 1983 Bimota HB3. 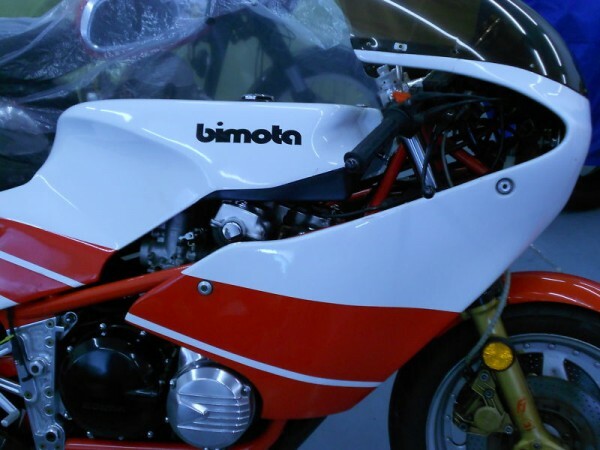 If you are so sick of Bimota's that this gem doesn't even excite you; well you better click on over to the other site that brings you your favorite rare bikes. Oh, that's right, there isn't one! 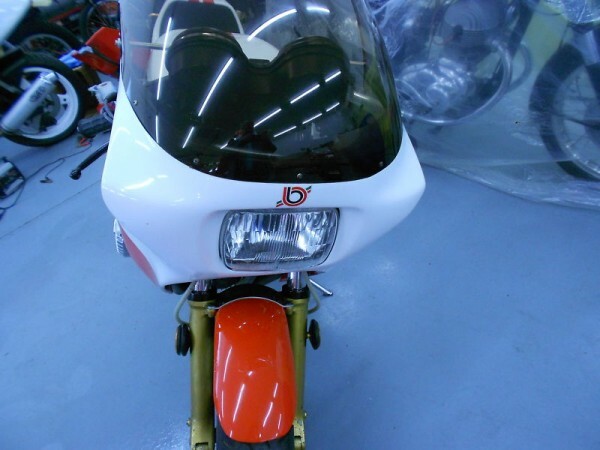 Joking aside, I think an early model Bimota powered by a Honda engine fits nicely in the rare motorcycle category. 101 HB3's were produced and you are looking at number 25. Simple yet exotic. 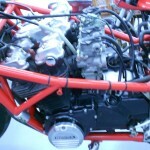 The engine is borrowed from the CB1100F which in turn was based on the CB900 lump. 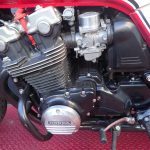 One article summed it up as a smoother running version of the CB1100R's engine. 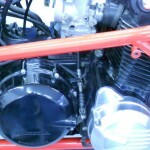 Horsepower is in the 115 range. 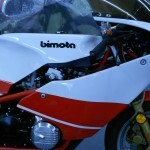 It is simply a good looking bike. 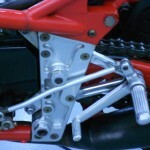 What is a post about a Bimota without seeing how they sculpted the rear sets. 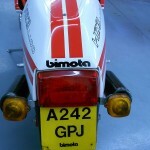 This bike makes a lot of the later model Suzuki powered Bimota's seem down right common. 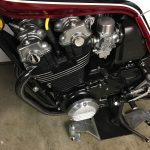 No need for a radiator my friends, this baby is air cooled. 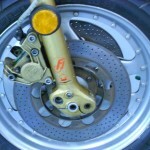 Front suspension is Forcella Italia and the rear shock is De Carbon. Those are new names to me. 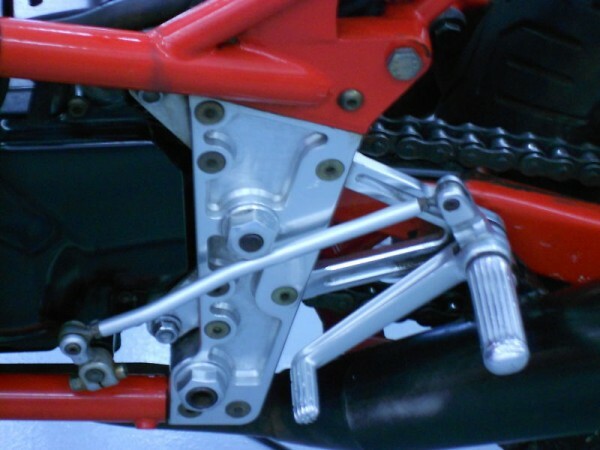 How about the single piston brake set up on a 1000cc bike? Don't look for a bargain here. 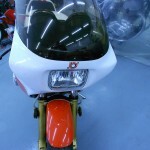 The bike has a BIN of $30,000 to go along with the reserve auction. Just for fun I looked up the HB3 on Kellybluebook.com. 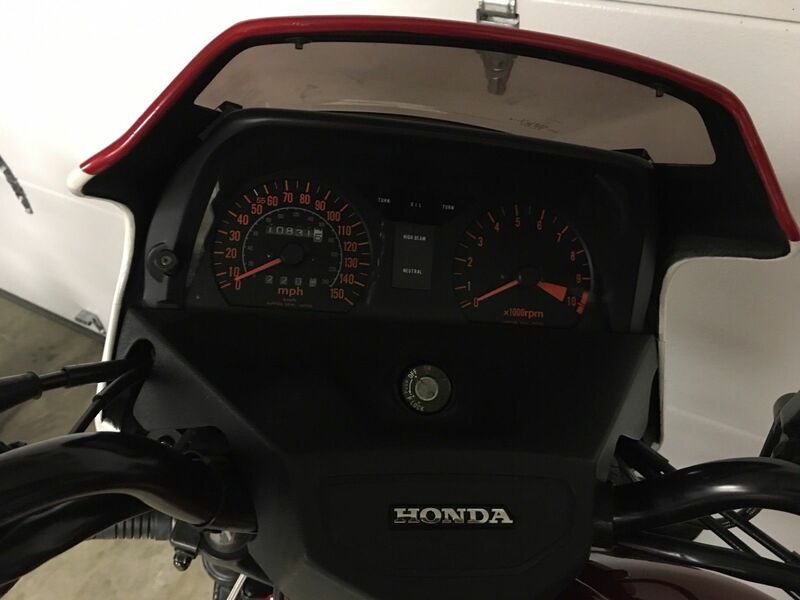 They have it listed as a 1985 model and, sit down for this, have it valued at $2,750! 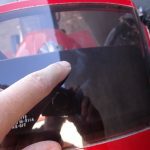 Nothing like having your finger on the pulse of the motorcycle market. 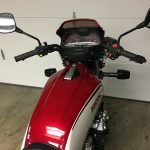 If you want your email returned, I would offer something above $2,750 to the seller! 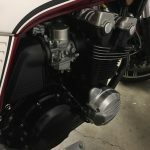 Welcome to yet another edition of our weekly recap of what’s been showing up on our sister sites at ClassicSportBikesForSale.com and CafeBikesForSale.com. 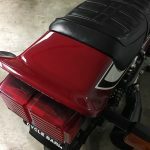 This week we have some real awesome looking bikes. 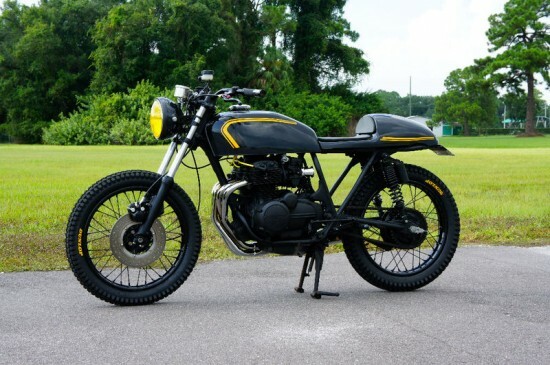 Be sure to check out the always classic BMW R90S on CSBFS and the murdered-out Honda CB400F Cafe on CBFS. Enjoy! 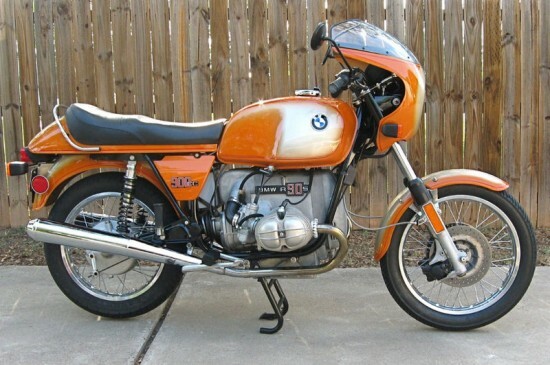 1976 BMW R90S For Sale on eBay! 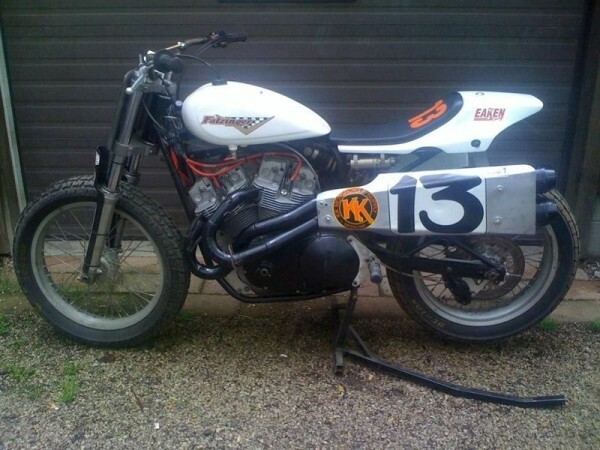 1975 Honda CB400F Cafe Flat-Tracker for sale on CBFS! 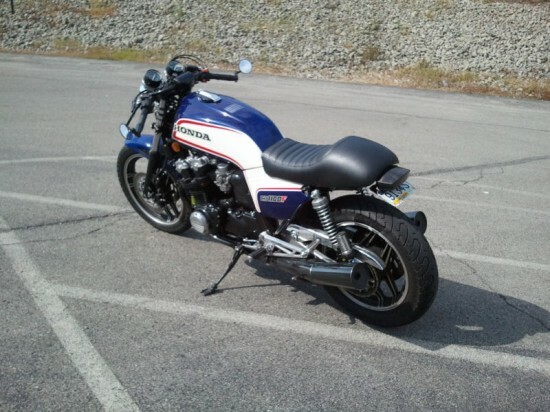 1983 Honda CB1000F Cafe Racer up for grabs. 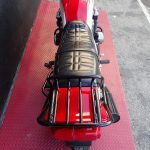 Jump on over to ClassicSportBikesForSale.com and CafeBikesForSale.com!